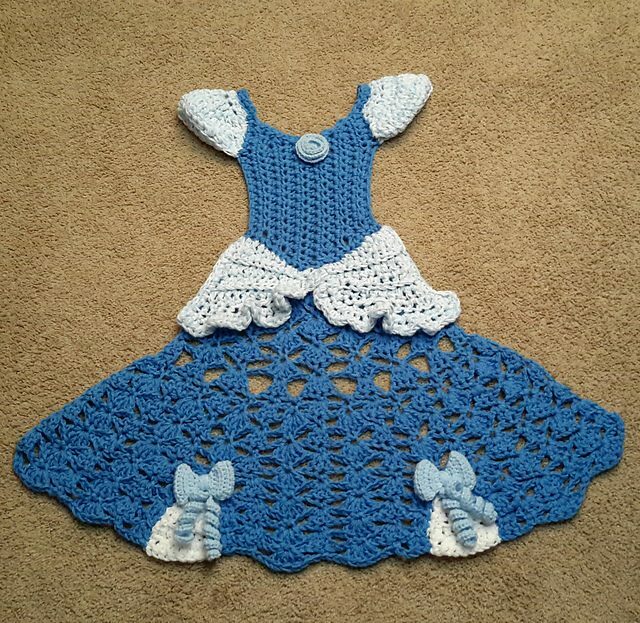 I recently came across the beautiful princess dress crochet blanket patterns by Carol L. Hladik and just have to share them here in case you haven’t spotted them, yet. I thought I’d also share a collection of other blankets that are unique and special in a similar way – other types of princess blankets as well as more crochet blankets that serve almost as costumes, blankets with arms like Snuggies but designed with handmade flair. Here they are. 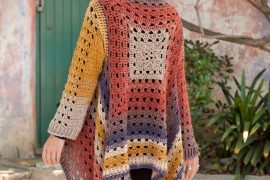 Carol L. Hladik has three different princess dress crochet blanket patterns for sale through Ravelry – one in yellow, one in blue and one in purple. Each of these blankets is designed to look like a dress inspired by a Disney princess, with details like rosettes, bows and corset strings. 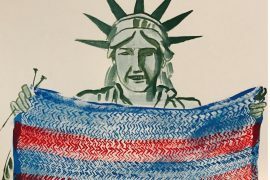 The blankets have arms that you tuck into – something that is so cozy when you’re crafting or reading at home – adding to the dress-inspired blanket design. 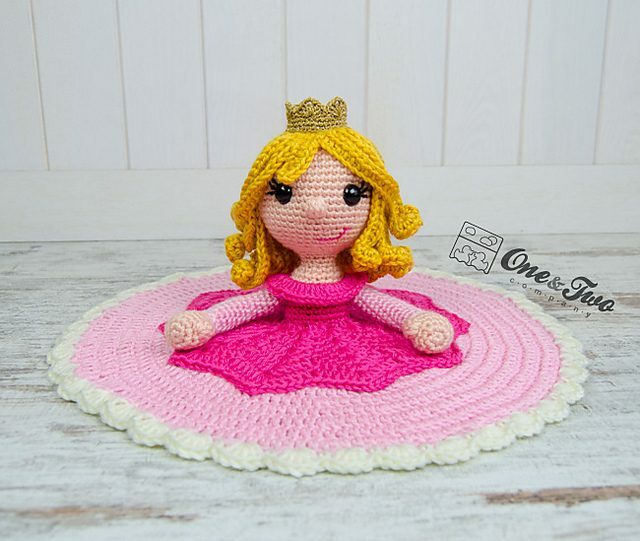 These crochet princess blankets are designed in 3-4 sizes each so that they can fit toddlers through adults; after all, you don’t stop wanting to feel like a princess just because you are all grown up! The blankets are designed to be worked with 2 strands of worsted weight yarn held together, crocheted with a large size P crochet hook. This means that even the largest dress-shaped blanket works up really fast. I love working multi-strand crochet; you could hold two different yarn colors together for a more unique dress pattern. 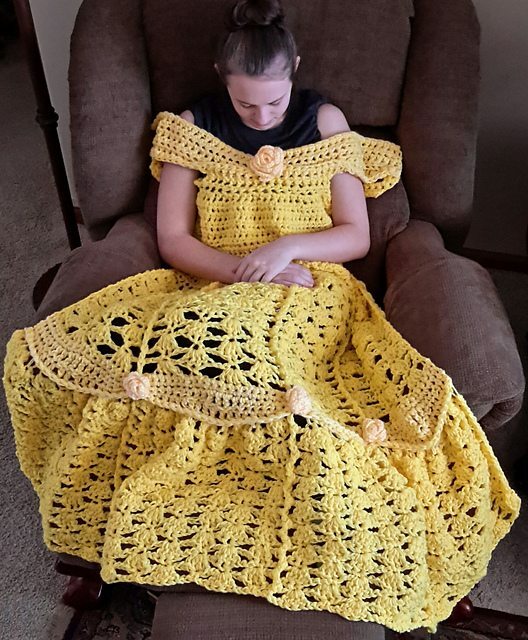 Another type of crochet princess blanket is the lovey, where the center is a crochet princess doll and the rest of the dress creates a small blanket for little ones. 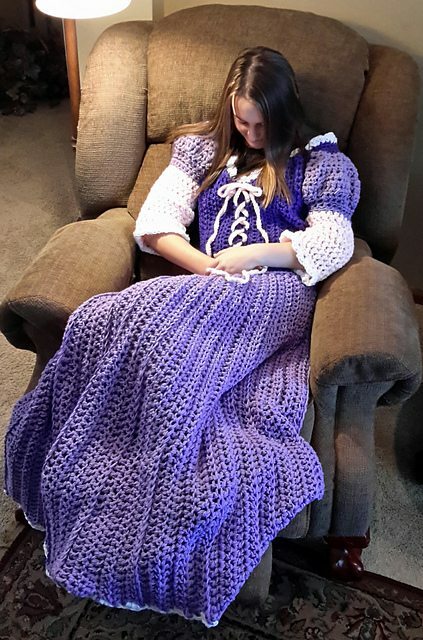 This is the Princess Rose Lovey crochet blanket pattern sold by One & Two Company who says, in part, “As her name suggests, Rose is very beautiful, but also honorable and strong. 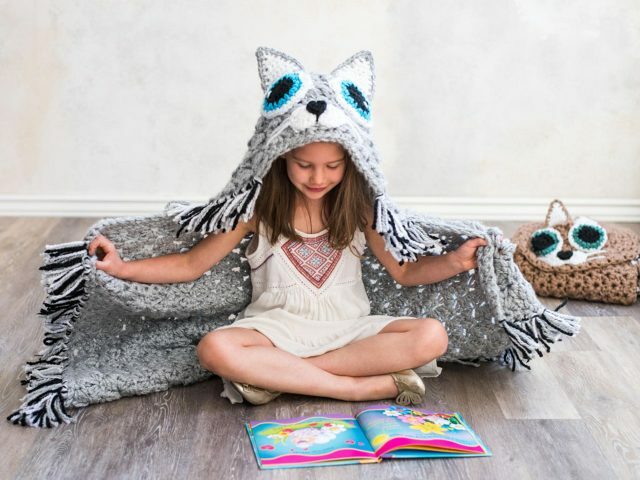 She loves to read stories about brave knights and fantastic adventures.” This designer has lots of great lovey blanket patterns including Snow White, Rapunzel and a mermaid. 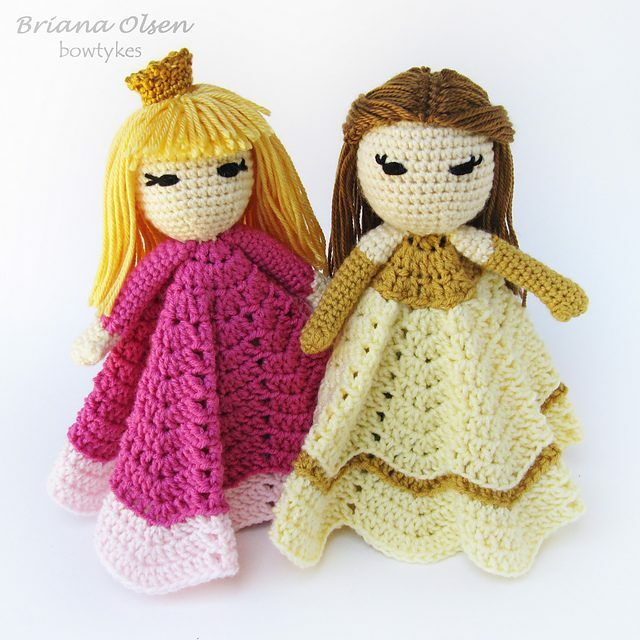 Bowtykes also has a collection of crochet fairy tale loveys featuring different characters including these princesses. Spicy Tuesday Crafts has adapted this pattern into additional designs with instructions for Mulan, Tinkerbell and the princesses from Frozen. 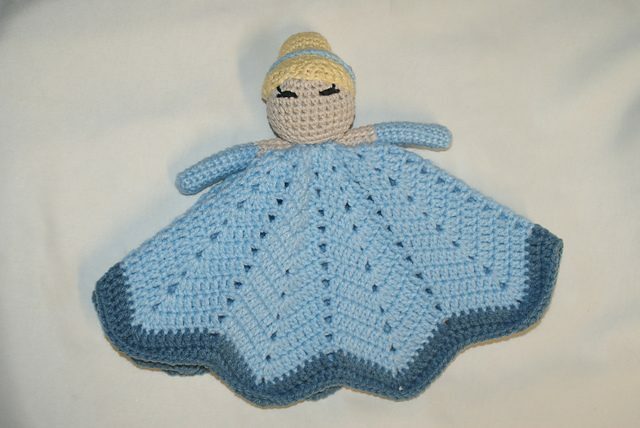 Jennifer Lynas of Crafty Narwhal sells this princess lovey crochet blanket pattern on Ravelry. 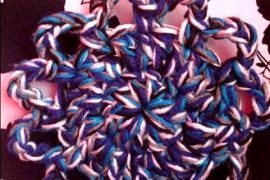 It is made with worsted weight yarn and a size G crochet hook. 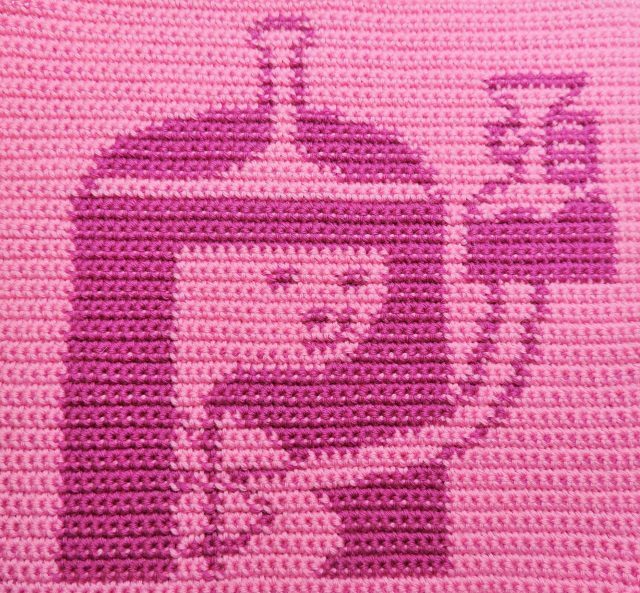 Pretty in pink (or purple) – this princess crochet lovey blanket pattern is sold by A La Sascha on Ravelry and Etsy. The dress, when fanned out, creates a star-shaped blanket made of chevron stitches. Extra details like gloves and luscious lips add to the cuteness of this design. There are many different kinds of princesses – including Princess Leia! This is a free crochet lovey blanket pattern from Suzie’s stuff. 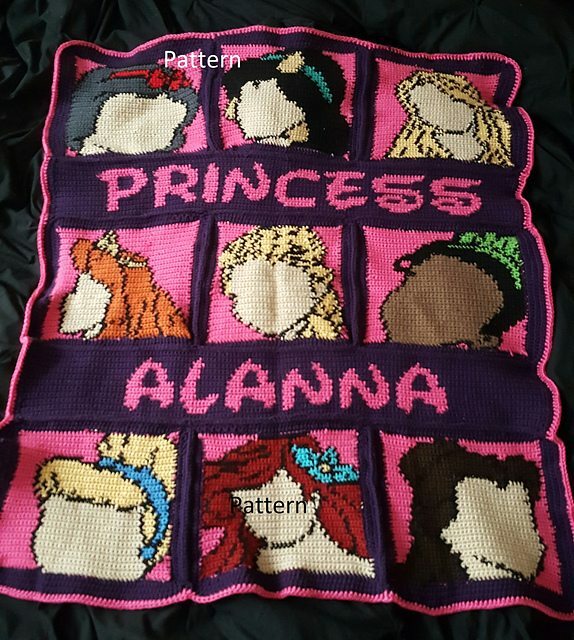 She offers additional information to easily change out the design of the head on this blanket to create Snow White and other princesses as well. 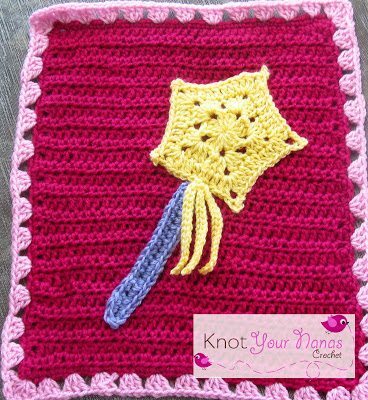 The Little Blossoms Blanket crochet pattern by Knot Your Nana’s Crochet consists of squares that have different appliqués on them. There are one dozen appliqué patterns; four of these relate to a princess: the girl, tiara, wand and princess carriage. Several others, like the cupcake and butterfly, complement princess designs well. 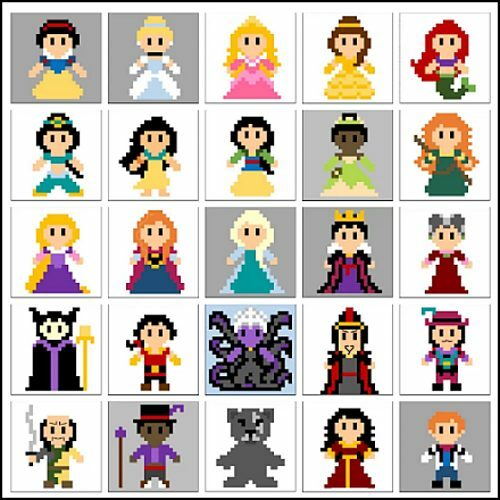 Erin Shaw on Ravelry sells a selection of different princess crochet appliqué patterns including patterns for Belle, Jasmine and Ariel. This princess quilt crochet pattern is one of my favorite princess blanket ideas. 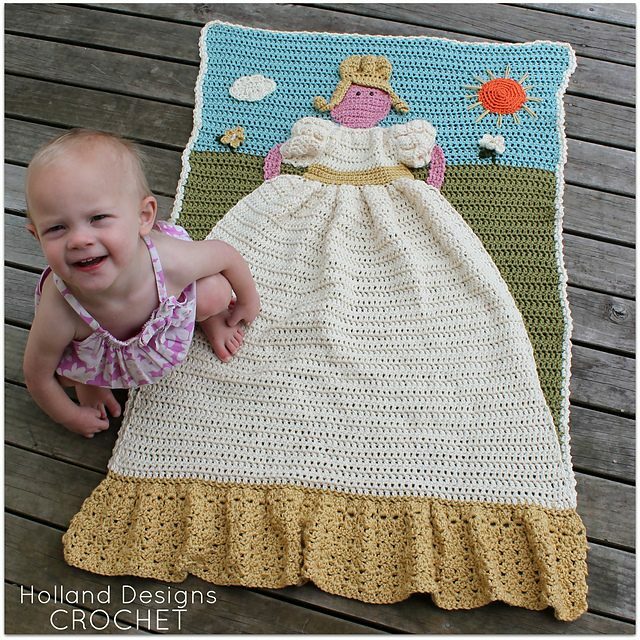 It is a basic crochet blanket with a princess added atop it and a ruffle hem that exaggerates the princess dress. This adorable design is by Holland Designs and is an affordable pattern sold through Ravelry. 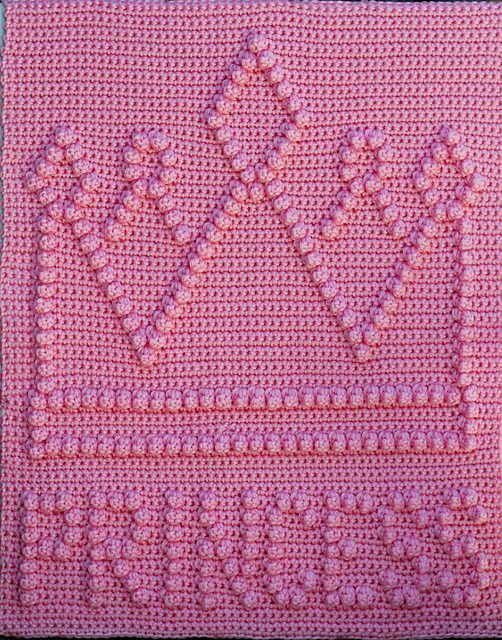 Create a beautiful princess crown crochet blanket pattern using a bobble-like reverse popcorn stitch for the crown and the word “princess”. This pretty pattern is sold on Ravelry by Marilyn Sehn. 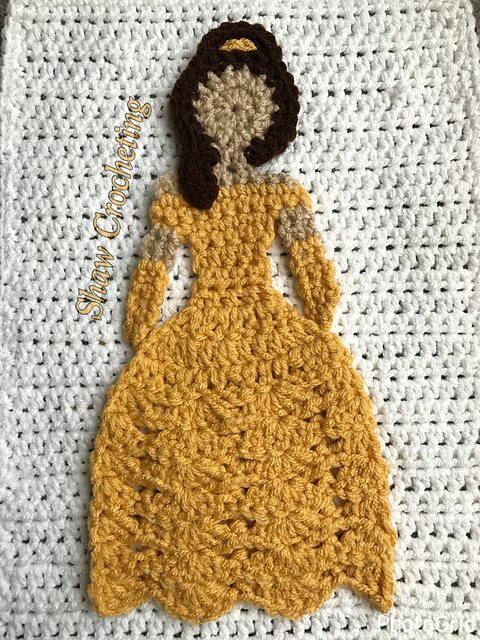 This Disney Princess crochet blanket pattern sold on Ravelry by Birdie Knits looks to be a graph-based pattern that would work well in tapestry crochet. 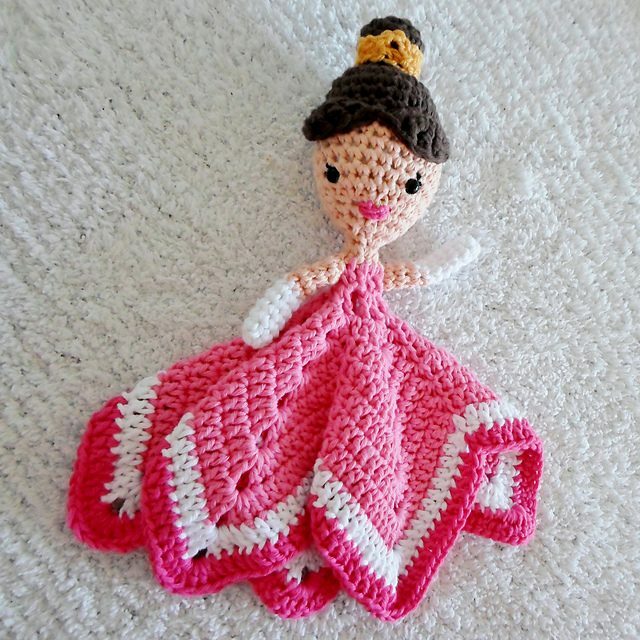 This crochet blanket squares free pattern from Two Hearts Crochet consists of 13 different princesses and 12 character villains. You could make them all or pick and choose the squares that you want to turn into a blanket. I wasn’t familiar with Princess Bubblegum until I started researching this topic but now I’m intrigued! 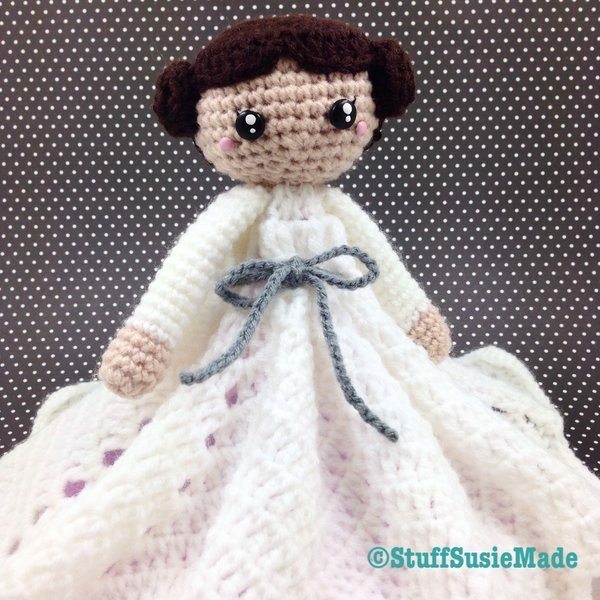 The free pattern by Lattes and Llamas includes more info on the princess as well as info on how to crochet from a chart like this one. 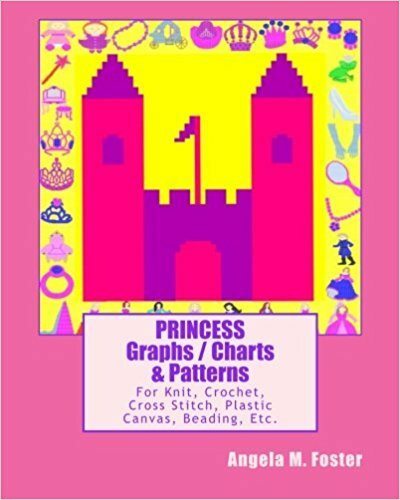 This crochet book by Angela M. Foster is a collection of princess graphs that can be used to create a large range of crochet projects. These versatile graphs can also be used for other crafts including knitting and cross stitch. There are a variety of different princesses as well as princess accessories like a glass slipper chart. They can be adapted to different sizes ranging from large blankets to small washcloths. Some of these are also available for sale individually on Ravelry. 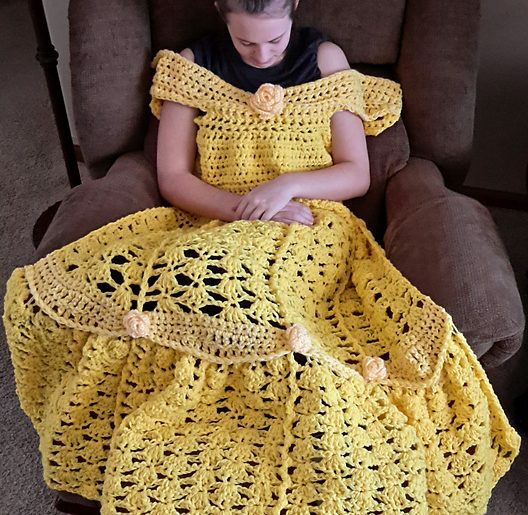 The Princess dress crochet blanket pattern immediately made me think of some of the other great blanket patterns out there that are designed to look like more-than-a-blanket. Some of my favorites are animal hood crochet blanket patterns, which turn your lounging body into unicorns, dragons and various animals including the crochet cat blanket pictured here. Instead of a hood there are also the crochet blankets that close up at the bottom, turning the body into a creature of other sorts. 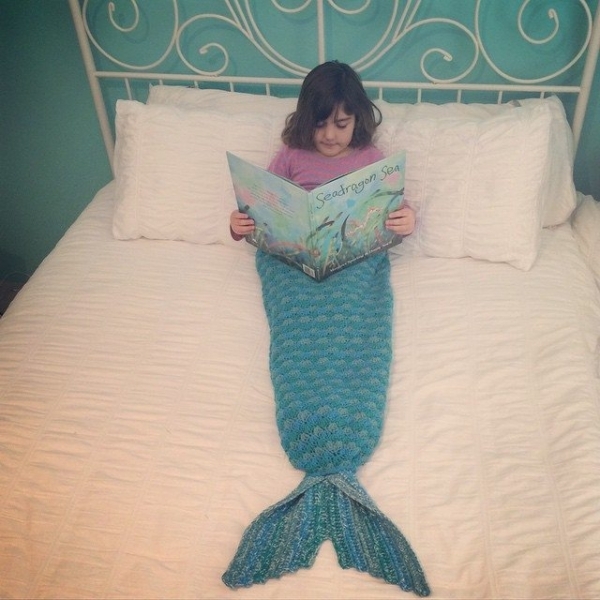 The most popular of these is definitely the mermaid blanket crochet pattern; the one pictured here was crocheted by addermccone on Instagram. However, there are lots of other mermaid blanket patterns and there are also blanket tail patterns for sharks, dragons, and dinosaurs.